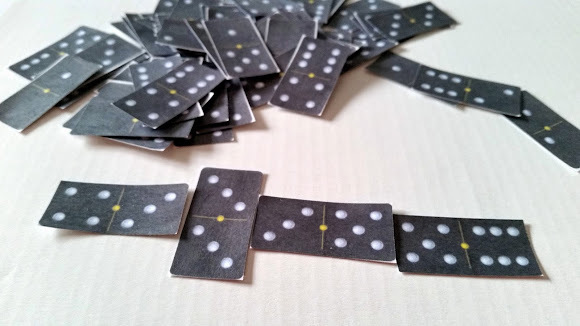 This Instructable was too useful and easy not to make: Pocket Size Traveler's Dominoes. Just print off the provided PDF and snip out all the Dominoes. 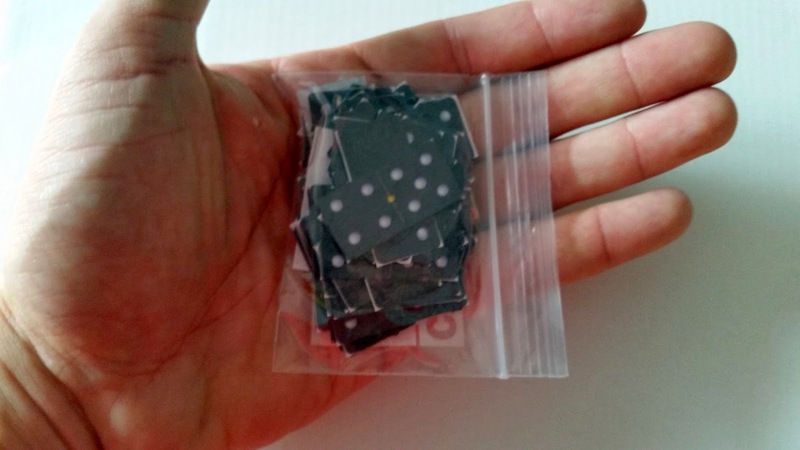 I got a little fancy and did a bit of poor man's laminating: I covered the paper with clear packing tape before cutting out the individual pieces. If I had used card stock, they would have felt even more professional (though, they'd be less compact). Dominoes is one of those universal games that can appeal to both kids and adults. For kids, it's a great way to work on numbers, pattern matching and logic and reasoning all by playing a fun game. Here's a basic set of instructions. This set fits well with my almost-no-supplies needed game collection. Happy playing! Remember: there's not excuse for being bored.